A non-warrantable condo is a property in which the loan is not eligible to be sold to Freddie Mac or Fannie Mae. Because of this, mortgage financing for this type of property is considered by most banks to be more “risky.” Since there is more risk associated with non-warrantable condos, a larger down payment and higher interest rates are usually involved. Some of the common property types that fall into the non-warrantable category include condo-hotels, time shares, fractional ownership properties, and other projects that require owners to join an organization, such as a golf club. It is in a development involved in litigation of any kind (regardless of whether the building is suing another party or is the party being sued). Physician loans, also referred to as doctor loans, present a unique set of circumstances for lenders because new doctors do not have any work history and usually have a significant amount of student loan debt. This situation typically prevents physicians from getting approved on conventional mortgages, so special loans have been developed. Asset depletion loans enable you to use any liquid assets to qualify for a mortgage. This is good if you have little income but significant assets, such as funds in a bank, investments, or retirement accounts. A formula is used to calculate the income that could be generated by depleting your liquid assets over a fixed period of time. The income derived from the asset depletion formula is added to other earnings, such as employment wages or social security, to calculate the debt-to-income ratio and determine what size mortgage you can afford. The term “asset depletion” is used because you could sell your assets over time to pay for the mortgage. You are not required to liquidate your assets, though. They are only used to demonstrate you are able to make the mortgage and housing payments. Note that if you generate significant income from your assets, such as through dividends, that income may be subtracted from the asset depletion income so it’s not double-counted. Bank Statement Loans are programs for individuals whose employment histories and tax returns may not reflect their viability for a mortgage, such as the self-employed and those who earn seasonal income. 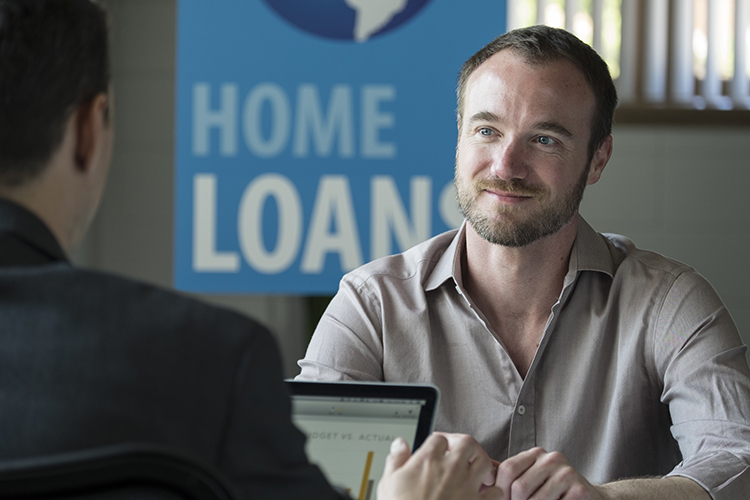 A bank statement loan might be your best solution if you’re a business owner looking to buy or refinance a home. These mortgage products do not require you to submit any tax returns. They allow you instead to use bank statements to verify your income. We specialize in a variety of specialty loans, so we can provide you with the best possible options for your individual financial situation.